A classic wrap dress has enduring appeal in your work wear wardrobe. The Frith Sheen Jersey Wrap Dress has that endlessly flattering fit with a wrap-over front and form-fitting silhouette. 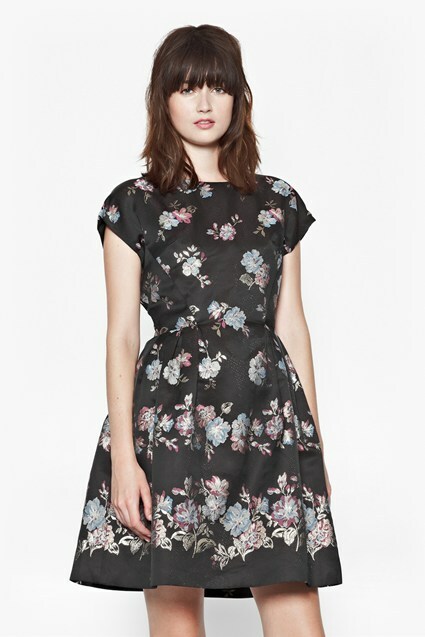 With long sleeves and a V-neckline, the dress is covered with a pretty sketch-like floral print. Add heels for the evening or dress down with flats.